We have been living in a networked world for 15 years now. Interconnected sets of nodes, as sociologist Manuel Castells described networks, seem to have progressively become the context of our everyday life, of our work, leisure and socialization. Our thoughts, interests and desires have moved to immaterial spaces of the digital sphere that have opened accordingly the way for new challenges, experiences and modes of being. 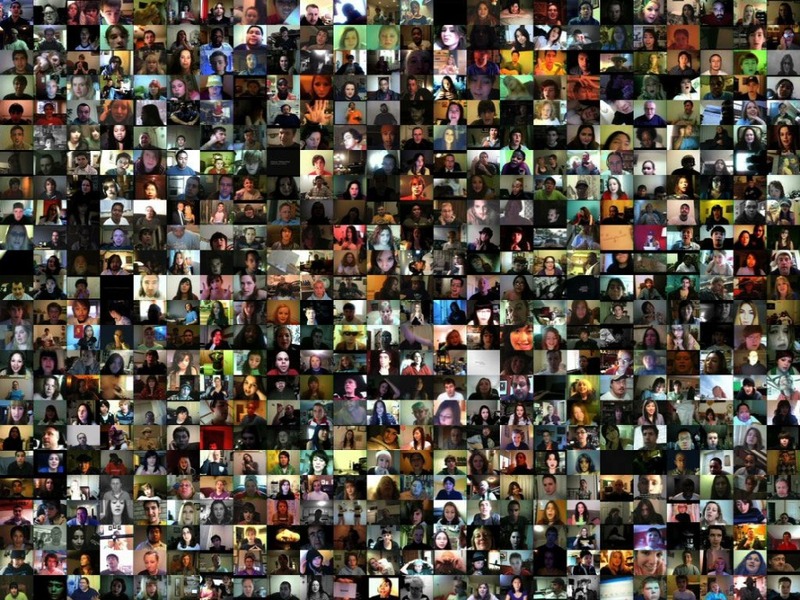 While participating, communicating, sharing and collaborating in the digital social networks today, our identities are being shaped within them. Networks have become the new homes, the new environments of intimacy and belonging, which are located nowhere and everywhere at the same time. Dispersed and interweaved, with no here or there, no inside or outside, the reality of the networks became the new common reality the connected world shares. Heterogeneous, polyphonic and multicultural, this charming networked condition is based on two fundamental elements: on the growing wealth of data being provided, controlled and exchanged on one hand and on the multitude of users contributing this data on the other. The exhibition Data Bodies – Networked Portraits aims to explore the ways identities are being formed, captured and portrayed in the networked sphere. Two notions complementary to one another, the data body and the networked portrait, become the reference for this examination as they can present the important duality and ambiguity existing behind every online persona being built nowadays: for every feature assigned or attributed to us, a trace is left behind. Our profile pictures, our interests, our friends as well as the places we bookmark, the photos and videos we upload or vote for, are all part of databases forming today’s networks. In this context, the networked portraits are formed by us, the users. They represent how we want to be seen and how we see the others, revealing our need to appear interesting, popular and attractive towards a community of users. The data bodies, on the other side, are a direct outcome of the informational society. They are based on mechanisms of aggregation and control. They are fed by the manifestations of our networked self, by marks of our communication, of our transactions and movements. The networked portrait and the data body are thus two different sides of the same coin, of images of a self shaped by us and of descriptions formed by systems of data. But do we realize their particularities? Do we really recognize ourselves through them and how secure do we feel in this duality?